List of 13 Best Hotels in Oakhurst California. 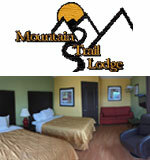 All types of accommodation and hotel in Oakhurst California. List of Oakhurst Hotels, Motels, Inn, lodging near Oakhurst in California. Affordable rates hotel in Oakhurst California. Free Breakfast. Minutes away from the South Gate Entrance to Yosemite National Park. Located in Oakhurst, Approx. 20 minutes from the south entrance to Yosemite National Park. Comfort Inn hotel in Oakhurst California. 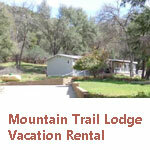 Air-conditioned Two-Bedroom holiday home, located in Oakhurst and 41 km from Yosemite Village. 43216 East Sugar Pine Drive Oakhurst, California, CA 93644. Located in 14 miles from the south entrance of Yosemite National Park. 40302 Highway 41, Oakhurst, CA, 93644, United States. 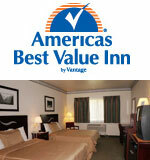 Americas Best Value Inn – Yosemite South Gate. Oakhurst’s Mountain Trail Lodge. Located 10 miles from the south entrance of Yosemite national Park. 42150 Hwy 41, Oakhurst, CA 93644, United States. Approx. 25 minutes drive to the south entrance of Yosemite National Park. Oakhurst is less than 10 minutes drive away and 15 minutes drive to Bass Lake. 42150 Hwy 41, Oakhurst, CA 93644, USA. 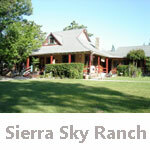 Bed and Breakfast (B&B) with four unique rooms ten miles from Yosemite National Park. 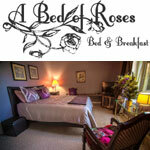 A Bed of Roses is located in Oakhurst, CA, located just 10 miles from Yosemite’s south entrance. 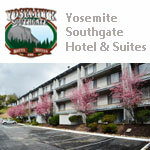 The Yosemite Southgate Hotel & Suites is located in Oakhurst, California only minutes away from the south gate entrance to Yosemite National Park on Highway 41. The only interior corridor hotel in Oakhurst, CA. Only minutes from Yosemite National Park and Bass Lake. 27 Hotel Rooms. Hotel Chain by Ascend Collection. Approx. 10 miles from Yosemite’s southern entrance, 4 miles to Bass Lake, and 15 minutes to Chukchansi Casino. 50552 Road 632, Oakhurst, California, CA 93644, United States. 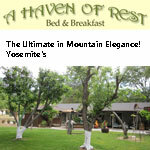 Yosemite’s A Haven of Rest Bed and Breakfast. 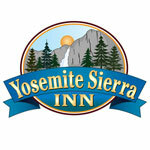 An award winning Inn located near Yosemite National Park. Offer comfortable private 2 room suite, park like yard, swim spa, full breakfast and coffees, teas, snacks and bottled water. Yosemite 41 South Mansion located in Coarsegold and takes 30 minutes drive to reach Yosemite entrance. Features : Good for group tourists, 6 bedrooms and 7 bathrooms, fully equipped kitchen and dining area, air-conditioned with a fireplace, 2 sofa beds, a washer, clothes dryer and more. For reservation call and hotel will respond to you with special room rates and availability. 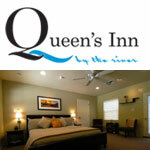 Queen’s Inn by the River is located on a tranquil riverside 5½ acres just off of State Highway 41. Approx. 13 miles south of Yosemite National Park and just 5 miles from beautiful Bass Lake.